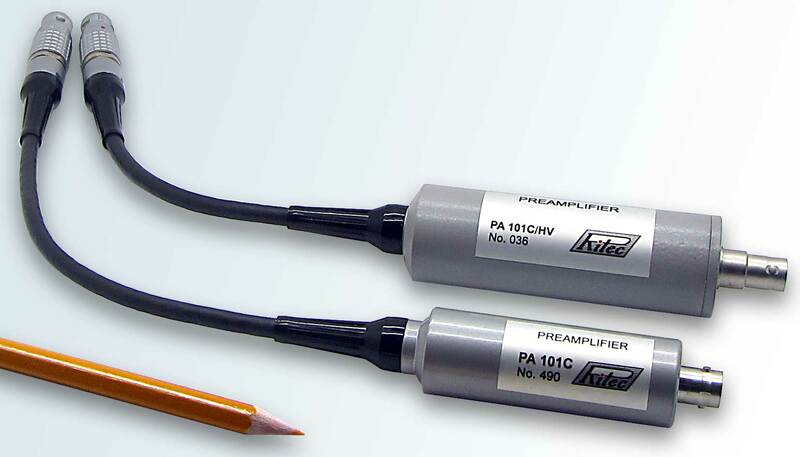 Preamplifier Model PA 101C and PA 101C/HV is a miniature, low noise, charge-sensitive preamplifier for gamma spectroscopy with room-temperature-operated semiconductor detectors (CdTe, CdZnTe, HgI2). 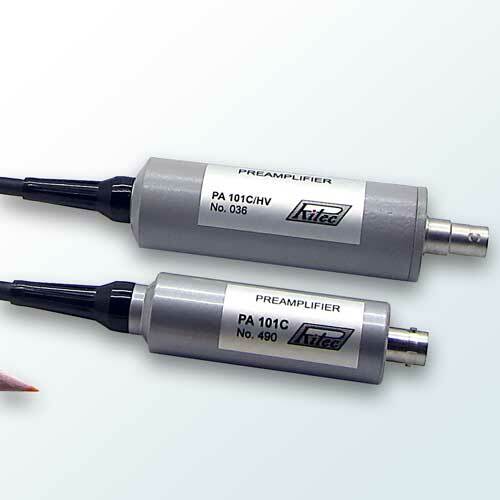 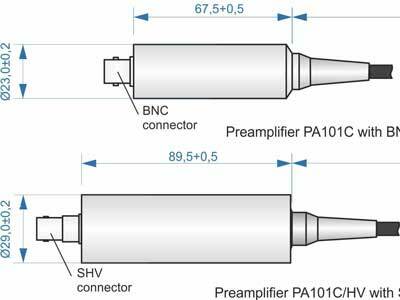 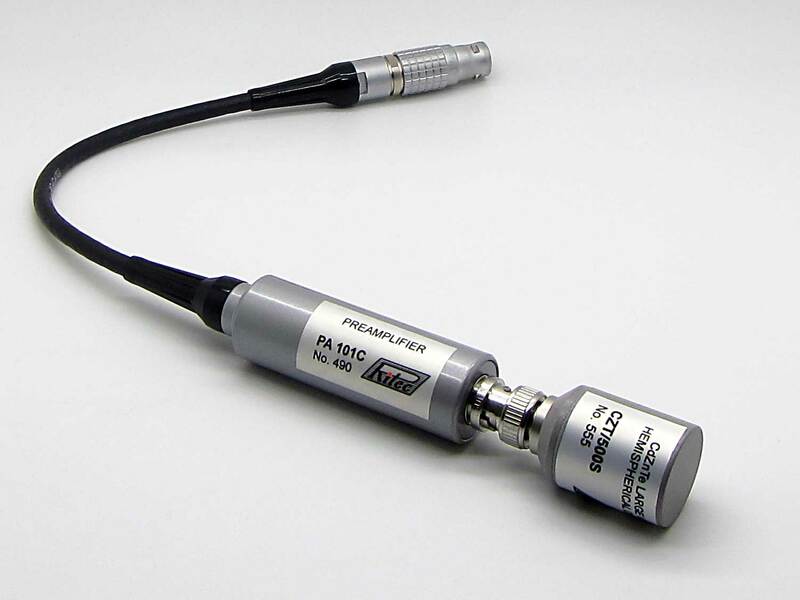 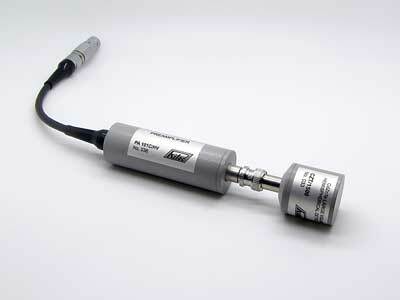 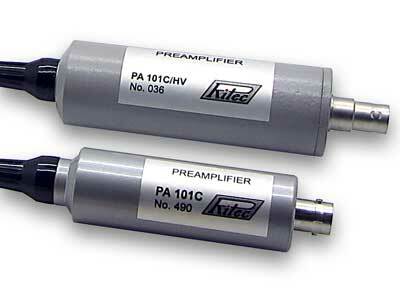 These preamplifiers can be used with Large Volume CdZnTe Detectors CZT/500 and CZT/1500. 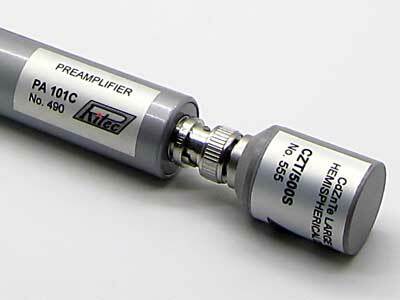 The preamplifier scheme includes bias filtering and input circuit protection.